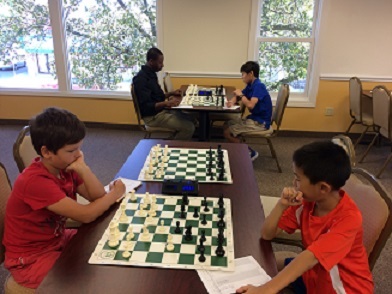 CCFC newcomer Uri Moon-Rosha made an impressive debut at our Sunday G/30 Quads. As the fourth seeded player he won all of his games including against top seeded (by a full 360 points) Andrew Dexter to win the tournament and gain nearly 130 new rating points in the process! No such upsets would take place in quad two, as although there were some very tough fights, it was ultimately favorite Carl Scovens who won with a perfect 3/3 score. Thank you to everyone that came out to participate this weekend!